Our Kings Courtyard pattern doesn't include the instructions for the Batik Beyond quilt as we ran out of space. 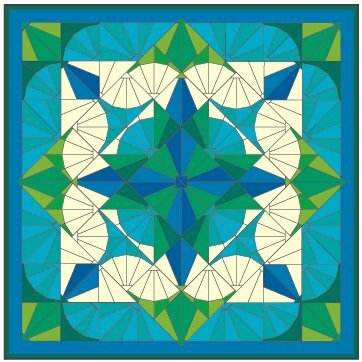 But we couldn't skip the possibility you might enjoy this wonderful version of the Kings Courtyard quilt. Download this pdf for the basic instructions. The assembly instructions from your Kings Courtyard pattern will help you. If you don't already have the Kings Courtyard pattern it is available for purchase here.